Flora starts seeing ‘Mr Foreshaw’ about this time? Flora starts seeing ‘The Jeromes’ about this time? Sep 15: "Initial telegraph work at Hindhead was 60 telegrams per day, and it has considerably relieved the strain which hitherto existed at the Grayshott post office." Mar 31: Census  Flora at Yateley, Hampshire, working in the Post Office  her occupation given as 'Post Office Clerk'  living with the sub postmaster William Bettesworth and his wife and their servant. John Thompson working as a Post Office Clerk in Aldershot, Hampshirejust 8 miles away. Flora ends the ‘Fireside Reading Circle’ and starts a postal writers group ‘The Peverel Society’ with Mildred, issuing ‘The Peverel Monthly’. The Society publishes a small book of verse. 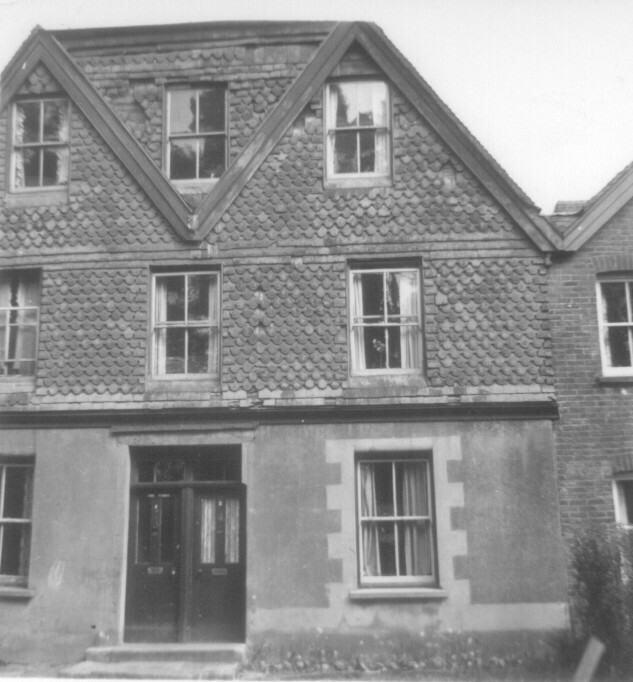 Ronald Macfie dies aged 66 in a London nursing home  Flora writes: "The bright day is done and we are for dark"
Building which had housed Grayshott post office in Flora’s time demolished  now Pendarvis House.